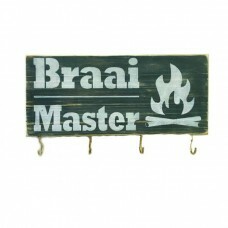 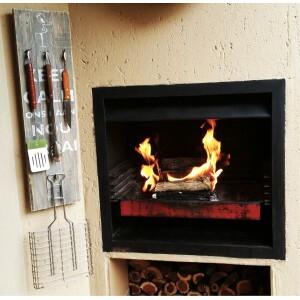 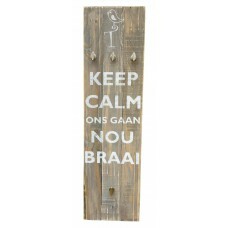 These unique and trendy Braai Set Holders are the perfect functional & decorative piece for any patio/braai area. 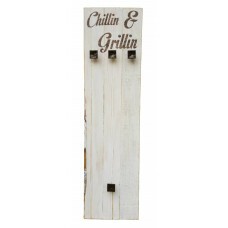 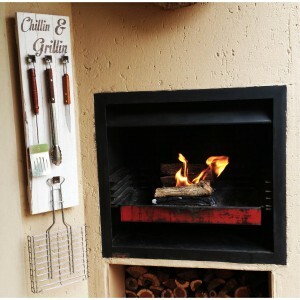 It gives you a place to store those bulky braai utensil & even has a spot to hang the braai grid. 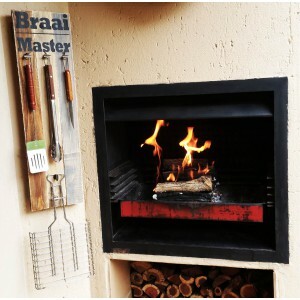 We are always trying to improve the range, so please feel free to contact us if you have something specific in mind. 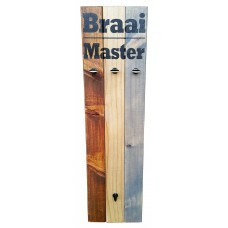 BRAAI SET HOLDER - "Nou Braai"
This unique and trendy Braai Set Holder is the perfect functional & decorative piece for any pat..
BRAAI SET HOLDER - "Braai Master"
This unique and trendy Braai Holder is the perfect functional & decorative piece for any patio/b..
BRAAI SET HOLDER - "Chillin & Grillin"